MBBS is one of the most preferred and sought after study option among Indian students. It is a dream for every Indian student to study MBBS in foreign countries like Russia, China, Philippines, Ukraine, etc. Interest in studying MBBS in Russia just seems to keep on growing. Every year a large number of Indian students go to Russia to study MBBS. Russia is one of the most popular study destination selected by Indian students. The tuition fee of Russian state Medical Universities is comparatively lower than the private medical colleges of India. Almost 60% of tuition fees are subsidized by the Ministry of Health and Education of the Russian Federation. Medical Study in Russia: Russian medical Universities have gained global recognition and have topped UNESCO and WHO ratings. 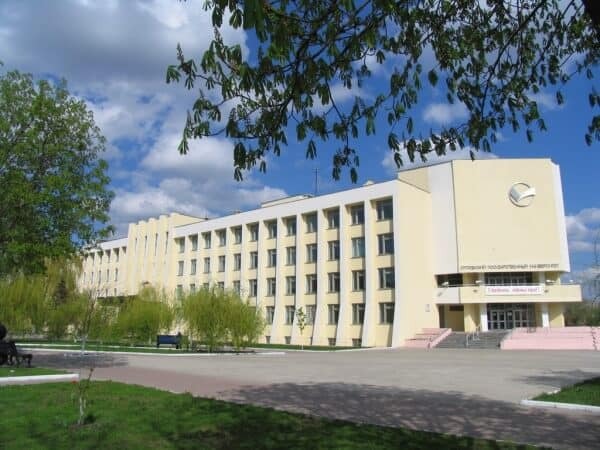 Over 30 positions in the world ranking of medical schools are occupied by the Top Russian medical Universities. Russia is now using English as a medium of instruction, which has made the country a popular destination for higher education among Indian students, especially in medicine (MBBS). As of now, there are around 10,000 Indian students study in Russia. Russian Medical Universities are listed in WHO and Medical Council of India (MCI) hence the MBBS degree from Russia is globally accepted. Pass-outs from Russian Medical Universities are presently working in leading hospitals across the globe. Russian Medical Universities with low MBBS fees range from ₹2.5 lakhs to ₹3.5 lakhs per year. Medical Universities with MBBS fees range from ₹3.5 lakhs to ₹ 6 lakhs per year. Indian Students: At present, more than 10,000 Indian students are studying medicine in Russia. According to the Indian Embassy in Moscow, 80% of the total of Indian students are studying MBBS in Russia. Medical is the most preferred choice by Indian students as the cost of studying MBBS in Russia is low. Russia’s low study costs, combined with its excellent higher education system, makes the prospect of undertaking MBBS study in Russia extremely appealing for both students and their parents. Reasons for Indian Students choosing “MBBS in Russia“: High level of education. The cost of living and fees to “study medicine in Russia” is low. 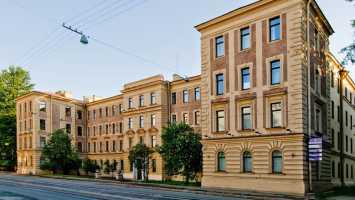 The tuition fees in most Russian medical universities are quite low and so is the cost of living; which is why many Indian students decide in favor of studying MBBS in Russia. Hostels: Accommodation of a student is one of the most important factors when it comes to a foreign land. Russia provides its students with a very good accommodation facility, all Indian and other international students stay in student hostels in rooms for 2-3 people. Rooms are provided with the necessary furniture and bedding. There is a kitchen on every floor of student hostels, where you can prepare meals according to your individual taste and wishes. The average cost of accommodation in a student hostel may vary, depending on the town and university, from 10 to 50 US Dollars per month in Indian Rupees 500 to 5000 approx. Living Costs: The cost of living in Russia as a student depends on the personal lifestyle and the activities a student engages in. However, the average amount of the basic expenses varies between 10, 000 and 15,000 RUB per month (In Rupees average ₹1 lakh to ₹2 lakhs per year). Eligibility criteria: Students who are appearing or have passed the 10+2 or equivalent examination with minimum 50 percent marks in Physics, Chemistry, and Biology in CBSE / ISC or any other Equivalent Board of Examination. As per the latest notification issued by MCI in accordance with the decision taken by Delhi High Court, students aspiring to enroll in Foreign Medical Universities in 2019, and did not qualify / register / appear in NEET – 2018; should produce an Eligibility Certificate issued by Medical Council of India at the time of admission to Foreign Medical Universities. Food: The expenses for buying food and beverages and cooking at home are approximately 1500 RUB ( around 2000 Rupees) a week, where the prices for fruits and vegetables differ according to the season. Transport cost: Students transport cards offer substantial discounts on underground transport; buses, trolleybuses, etc. Average taxi trip inside Moscow: 300 – 1000 RUB, depending on the distance traveled and the traffic jams. Other Purchases: Books prices vary from 400 to 1000 RUB for a book. Students should have their own kitchen equipment (pots – around 400 RUB, pans – 200 to 500 RUB, plates, etc. ; a kettle will cost around 1 000 RUB). 2nd – 3rd Year Fees = US$ 3500/yr. = Rs. 2,28,000/yr. 4th, 5th, 6th Year Fees = US$ 3300/yr. = Rs. 2,15,000/yr. Hostel Fees = US$ 200/yr. = Rs. 13,000/yr. 2nd to 6th Year Fees = US$ 2600/yr. = Rs. 1,65,000/yr. Hostel Fees – US$ 300 = Rs. 20,000/yr. 2nd – 6th Year Fees = US$ 3200/yr. = Rs. 2,08,000/yr. 2nd – 6th Year Fees = US$ 3500/yr. = Rs. 2,27,000/yr. Hostel Fees – US$ 500 = Rs. 33,000/yr. 2nd – 6th Year Fees = US$ 5000/yr. = Rs. 3,25,000/yr. 2nd – 6th Year Fees = US$ 4000/yr. = Rs. 2,60000/yr. Hostel Fees – US$ 350 = Rs. 23,000/yr. 2nd – 6th Year Fees = US$ 6150/yr. = Rs. 4,00000/yr. Hostel Fees – US$ 550 = Rs. 36,000/yr. 2nd – 6th Year Fees = US$ 3500/yr. = Rs. 2,28000/yr. 2nd – 6th Year Fees = US$ 6000/yr. = Rs. 3,76000/yr. Hostel Fees – US$ 200 = Rs. 13,000/yr. 2nd – 6th Year Fees = US$ 3500/yr. = Rs. 2,60,000/yr. 2nd – 6th Year Fees = US$ 3800/yr. = Rs. 2,47000/yr. Fees includes Tuition Fee, Basic Hostel Fee and Medical Insurance.